Baolis or step wells were once only a part of illustrious, enchanted fables, which had fairies and mythical creatures in them. 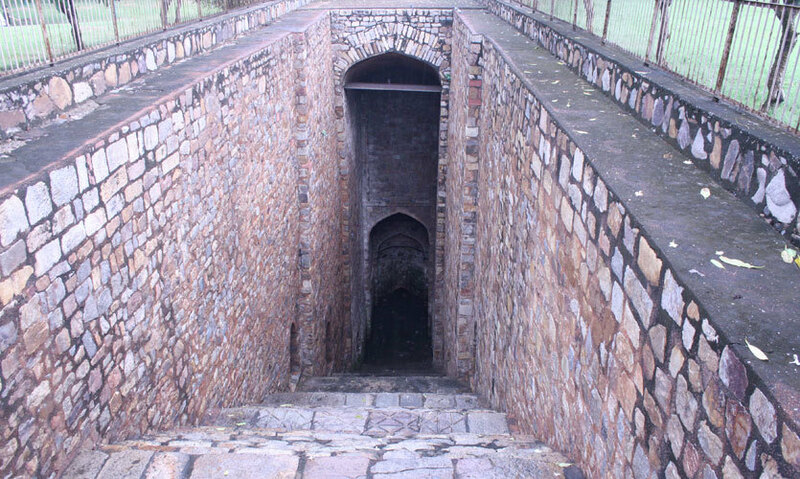 A baoli, sometimes spelled as &apos;Bauri&apos; in Hindi and derived from a Sanskrit word called &apos;Wapi&apos;, are wells or ponds in which the water may be reached by descending a set of steps. They are often covered and protected and are of great architectural significance. The baoli’s function is not only for storage and irrigation, but is also used as a refuge to escape from city’s heat. 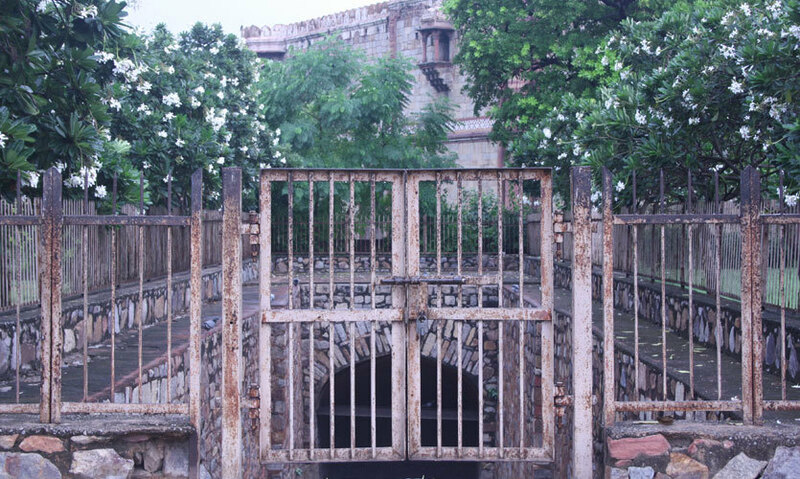 One such baoli is found in the citadel of Purana Qila - scroll on! The, Fort, believed to be the capital of the Pandavas 5,000 years ago and re-built by the Afghan king Sher Shah Suri, was perhaps the site of Indraprastha. The Fort has three arched gateways and the Bada Darwaza (Big Gate) facing the west, which is the main entry gate, leads directly to the Baoli. The step-well is well placed between the single-domed Qila-i-Kuhna Mosque and the double-storeyed octagonal tower called Sher Mandal, which was used as an observatory and library in the 14th century. The soaring Qila-e-Kuhna lies in the backdrop of the structure due to its enormous scale and proportion. Given the height on which the fort is built, the structure is designed on the lowest contoured level. A narrow flight of 89 steps, separated by 8 landings and going down to a depth of 22 meters, gave way for access to the ground water. The Baoli was the major source of clean water for the people living in the Fort. The structure was built to keep the water covered and to minimize its evaporation. Built in sandstone, the position of each landing is marked by recessed niches on side walls. A series of gradually receding arches of various sizes form the roof. The stone is used only as a cladding material in the Baoli. It’s fenced from all sides and is kept locked 24x7, keeping in mind the safety of people as well as the structure. However, the depth and the proportion of the structure doesn’t fail to fascinate the passers-by. The dried up darkness at the lower-most end of the structure is enhanced with overgrown algae and moss, giving a sense of harmony and oneness. You will find an incredible variety of birds hovering all over the fort, each one with a desire to narrate the legendary saga of our rich past. 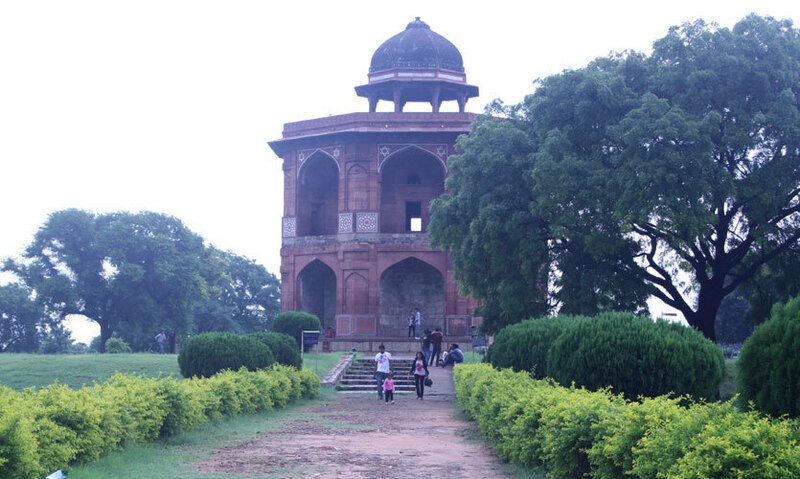 It’s a perfect cenotaph for the historians and tourists alike, who would love to see Delhi’s heritage up close. The floodlights positioned outside the Baoli give out an enchanted and magical effect to the structure, when lit in the evenings. Open on all days of the week, the structure is at its best during the foggy winters and the rainy season. Come along for some nice sightseeing and truly mind blowing pictures!